Born in 2003, Bella Lucce is an all natural brand created by Lela Barker who dreamed of making enough money as a single mother to stay at home with her children. Like a mad scientist on a quest, she put in long hours concocting her potions that would eventually become the Bella Lucce brand. In eight years, Bella Lucce has grown tremendously, and is loved by women, internationally. Lela believes in giving back, and does so through various charities and communities. With nature being the core of her brand, she has worked hard at doing what she can to preserve it and has earned her company the title of “Carbon Neutral” by Terra Pass. Lela travels the world in search of exotic ingredients for her luxurious spa line. Her travels have taken her to Morocco, Uganda, Asia, the Amazonian Jungle, and Arabia. While seeking out ingredients that are indigenous to the area, she keeps one ear to the ground, listening to the culture and customs of the country. Using this knowledge and the ingredients she gathered on trips, she whips up her all natural lotions, potions and scrubs for her devoted customers. I myself have been devoted to Bella Lucce since 2006. 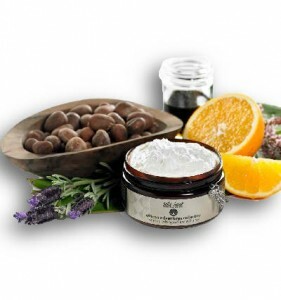 I will never forget my first purchase, the Multifruit Regenerative Face Cream ($21.00). It was my first “all natural” product and it completely blew my mind. It was amazing, not at all like any other face cream I had tried. Recently, I have been obsessed with the Tamanu Whipped Shea Butter ($36.00). Using the nuts of the West African Karite Tree and boasting 85% Shea Butter, this cream will moisturize the driest of skin. The velvety rich texture is infused with Tamanu Oil, which is used by African Juju healers. In addition, it is blended with yangu seeds which, African Xhosa Warriors believe have magical powers. This whipped, creamy, and completely indulgent product is a must have this season to keep dry skin from sneaking up on you. Bella Lucce products can be purchased at http://www.bellalucce.com/.